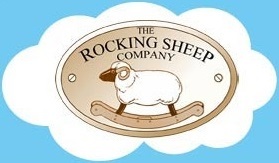 The Rocking Sheep Company is based at the foot of Harlech Castle in the Snowdonia National Park in beautiful North Wales. What more perfect place could our flock begin their long rocking lives than in the traditional home of the sturdy Welsh mountain sheep? Inspired by Victorian illustration and the playful Spring lambs in the countryside around us, we have developed our range of unique designs. Our aim is to produce toys of heirloom quality worthy of a proud tradition and the finest you will find anywhere in the World. We are passionate about our work and don’t believe in mass production. 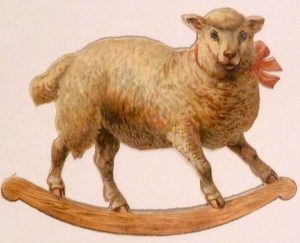 Your sheep will be individually made especially for you. He or she will be built from start to finish by just one skilled craftsman. It will be constructed of solid natural timber and fitted with a hand tailored genuine fleece which can be completely removed for hand or machine washing. Natural fleece is very hard wearing but, if after years of active play it becomes worn, we can supply a replacement. The traditional bow rockers have a unique rubber ‘tyre’ and can be used on carpet, tile, stone or wooden floors. Our children’s future matters a great deal to us and we’re determined to leave as small a rocker print on their planet as we can. This is why we only use manage grown renewable timber, pure wool stuffing and water based lacquers on our flock. 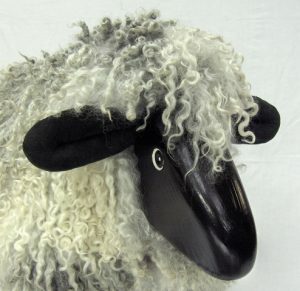 They might not look it at first glance but our rocking sheep are green! We feel so proud of our flock and we believe absolutely in its quality. 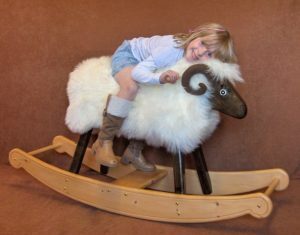 What better proof of this can we offer than our promise to you; if the wood or lacquer of your rocking sheep becomes scuffed and knocked in the course of a lifetime of play, we offer a return to base restoration service – free of charge. All we ask is for you to arrange delivery back to us and collection once the work is complete.